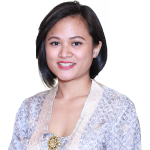 Alisha is responsible for providing strategic advice to BGA clients, as well as spearheading BGA Indonesia’s business development efforts. Alisha leverages her understanding of the complexities of Indonesia’s political economy and her extensive network to help BGA clients develop effective strategies and forge meaningful partnerships with Indonesian government officials and other key stakeholders. Earlier, Alisha served as senior analyst for BGA for five years, leading a number of advocacy efforts for clients across a range of sectors. She produced engagement strategies for a fair and transparent capital market, developed studies on best practice global payment systems, and created strategic media campaigns to influence policymakers. Alisha joined BGA after working at a leading national shipping and offshore services provider, where she reviewed corporate finance objectives, forecasted capital structure and managed investor relations. She was responsible for overall messaging to investors, analysts, the government and other key stakeholders. Prior to her corporate role, Alisha led a marketing and communications team for a start-up production company. Alisha earned a bachelor’s degree in political science from Monash University and a master’s degree in applied finance from Binus Business School, Jakarta.